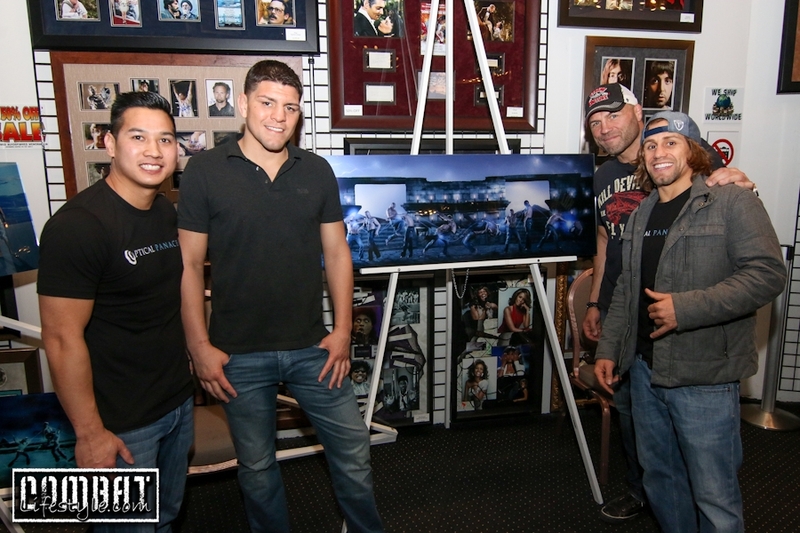 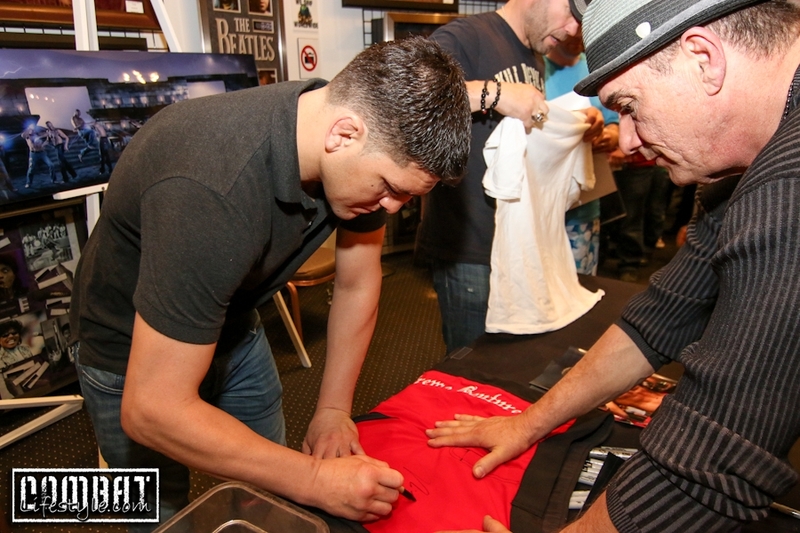 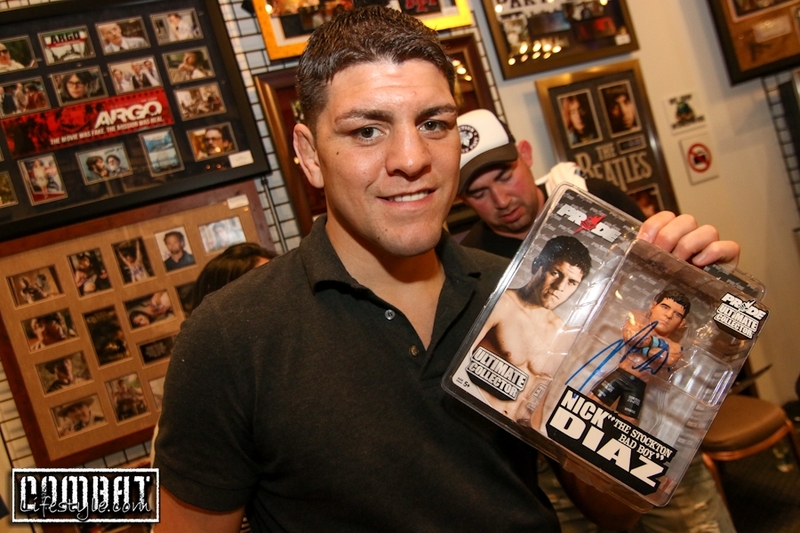 The Nick Diaz and Randy Couture Autograph Signing went down on Saturday afternoon prior to UFC 170. 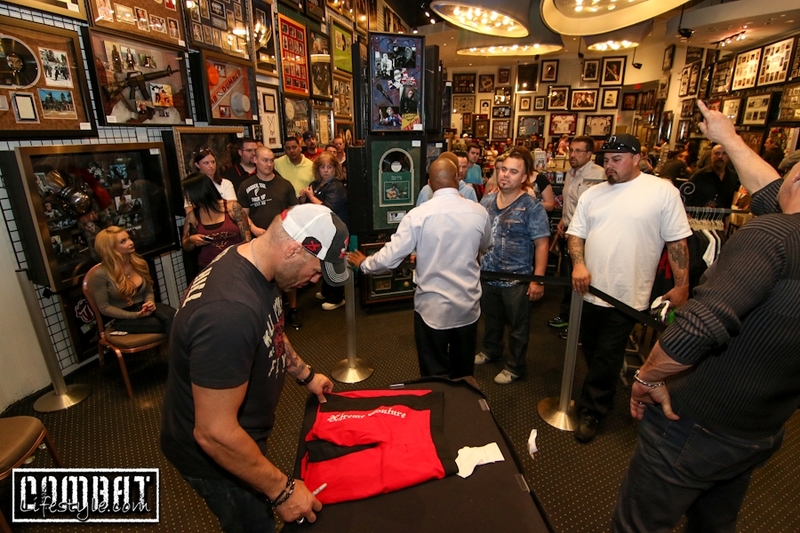 It was held at Art of Music inside the Mandalay Place Shops and boasted a line HOURS long. 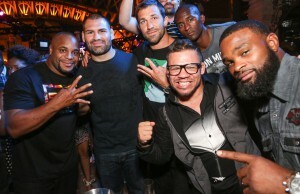 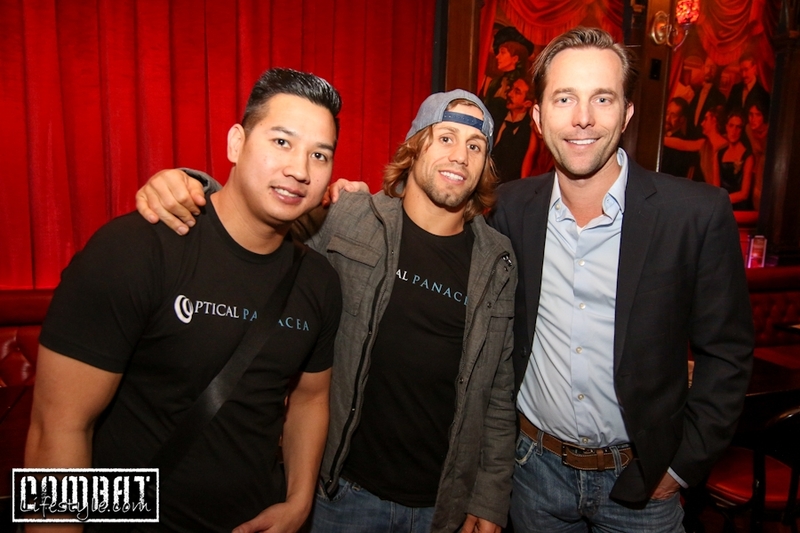 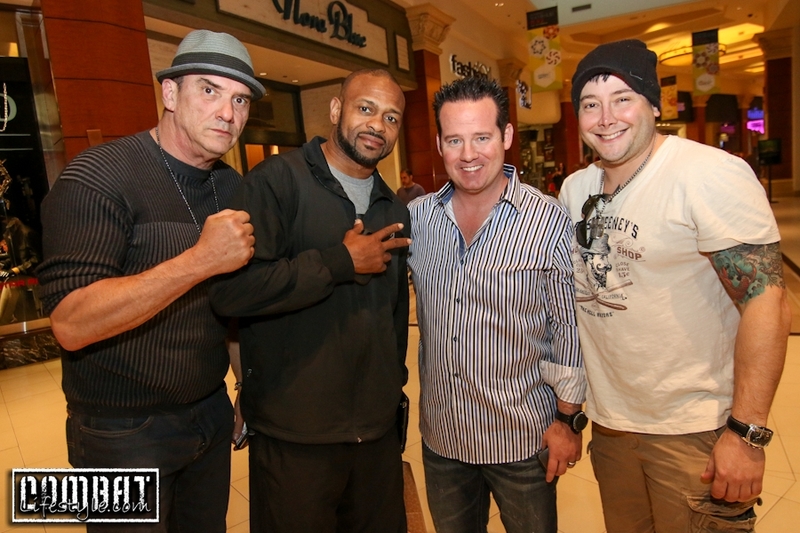 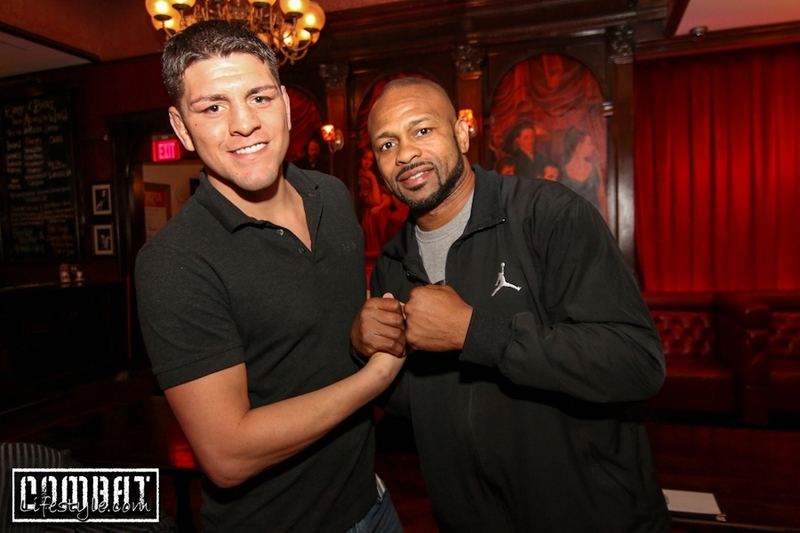 People were able to take photos with the guys and have them printed out on the spot and signed… Roy Jones Jr and Urijah Faber showed up and hung out for a bit as well! 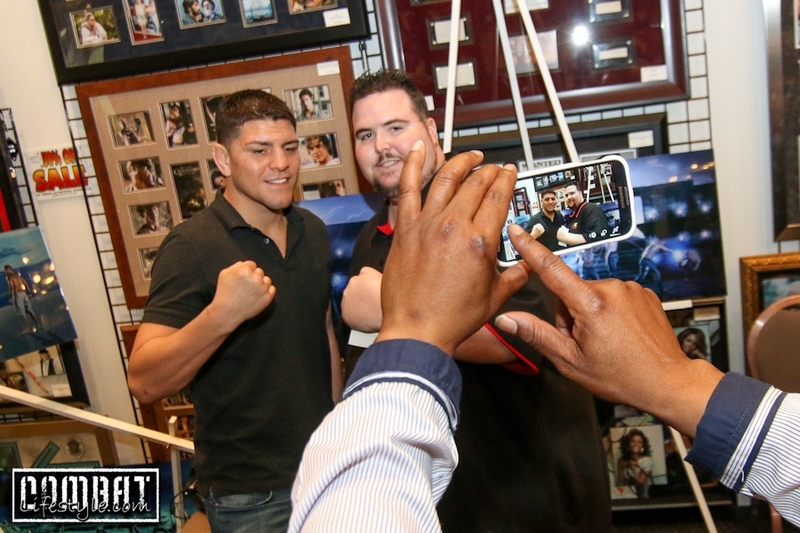 We even managed to get a photo of Nick with Roy and they want to fight each other! 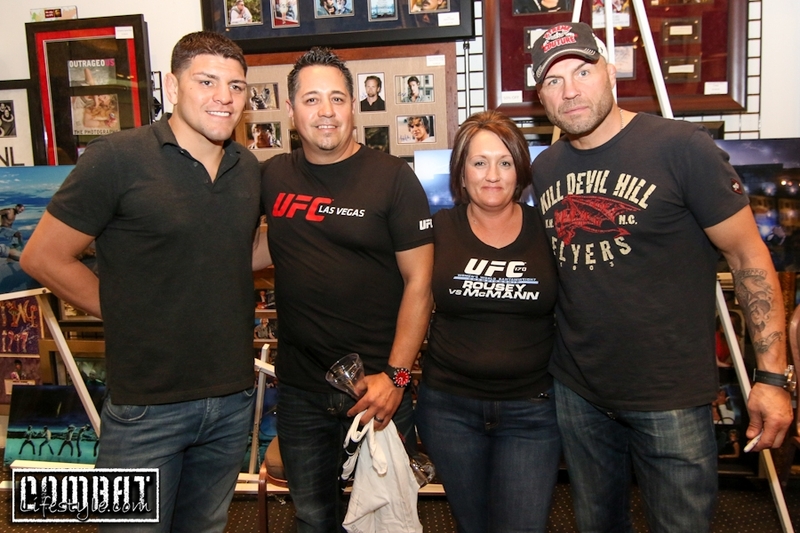 Dana make it happen!! 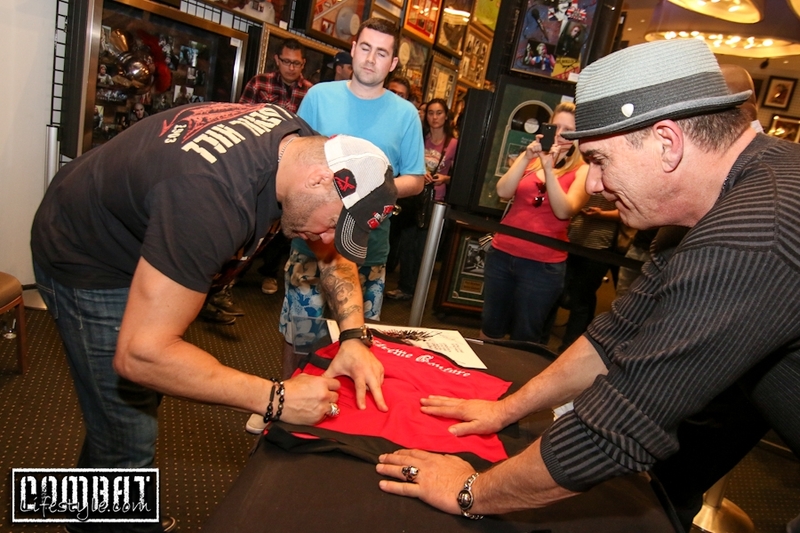 Follow Art of Music to keep up with when they are doing their next signings. 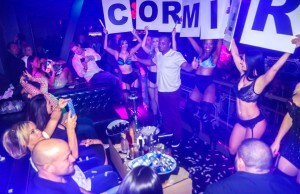 From what we hear, Memorial Day weekend’s lineup is gonna be SICK!